Facebook launch a search engine, updating iPad apps and the release of a Facebook phone…all the speculation of the upcoming Facebook changes this year have been rife…and all but one have been widely spoken about and confirmed by Zuckerburg. 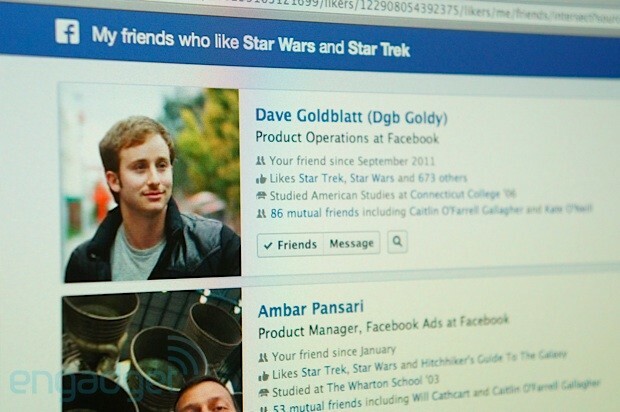 Facebook are indeed branching out into the world of ‘search’ and are introducing their own site search, aptly named ‘Graph Search.’ In its basic ‘version one’ form, you will be able to search for your friends info, photos and find out information about your friends that you may have missed on your news feed. E.g. you can type into the graph search things like ‘friends with photos at DisneyLand, Paris.’ Facebook will be able to search through the information that you have allowed them to publish (check your settings) and show these in answer to your question. The new Graph Search has been dubbed by Zuckerburg as ‘the third pillar’ to Facebook, after the news feed and timeline and has hinted that the search could be a business in itself…this may be when the search engine moguls twitch their tashes and have emergency talks! One thing is for certain though, Zuckerburg and the company are desperately trying to keep users on site for as long as possible, and are looking for inventive ways to keep their users accounts active. A recent survey from Social Bakers, a social media monitoring company heard reports that in the UK alone, Facebook active user accounts dropped by 600,000 in December. Whilst Facebook boasts over 1billion users, not all of these are active, nor visit the site daily. In a time when we spend more time on Facebook and Twitter than we do browsing the web, it seems incredulous to think of a multi million turnover company are facing difficult times…but they are. Social decline is a thing that is very real and something that has the business quaking in its boots. So, it seems that this bold and ultimately huge step towards and into the search stakes has come at a good time. Facebook need to keep ‘ahead of the times’ as this is what users expect from them. However, we as users are very keen to judge and we flock to the site to express our views on all matters. This includes the outrageous decision of the timeline trickle out…most were not impressed with the forced upon timeline initially and even used the site to smack-talk it. Whilst nothing was done, and Facebook lost a few thousands members, they want to ensure that we as users are happy, and spend as much time on the site as possible. To be seen as an ‘active’ member, we need to be making new friends, interacting with others through status’, likes, posting and commenting on photos etc. Ultimately, if you don’t add new friends, your account becomes stagnant and your user journey and experience limited. As a result, less and less time is spent on the site and you may go elsewhere. Either way, more interaction between you and your friends has been dubbed essential to continue an active account, but is this the main factor in the decision to roll out the ‘Graph Search?’ We think not.